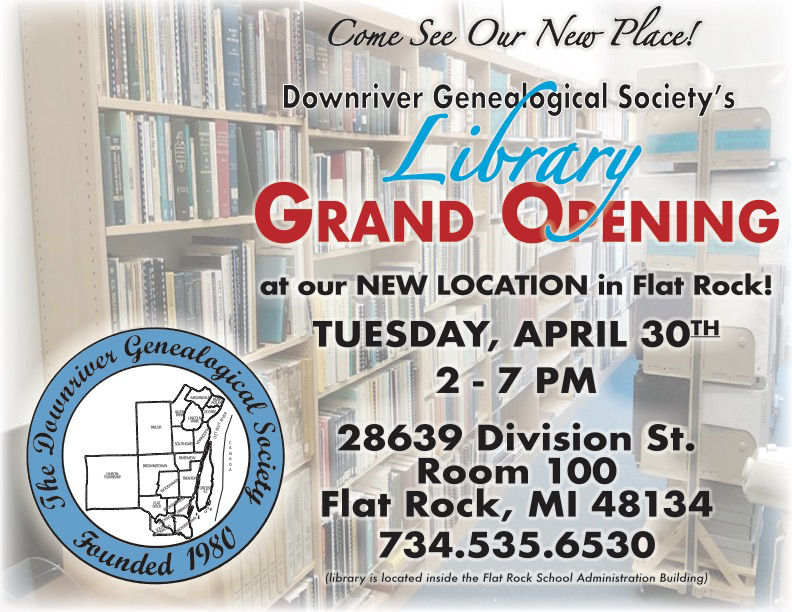 The Downriver Seeker is published quarterly by the Downriver Genealogical Society (DRGS). Below is a searchable subject table of the contents of these issues. Back issues are available at the DRGS Society Library, the Library of Michigan in Lansing, Michigan, the Genealogy Center at the Allen County Public Library in Fort Wayne, Indiana, the Family History Library in Salt Lake City, Utah, and several other repositories. May 2009 A. D. Burdeno - A True Patriot Burdeno, A. D.
Nov 2011 Rev. Charles H. Gardner Gardner, Rev. Charles H.
Aug 2009 August Martin Jr. - Civil War and Indian War Soldier Martin, August Jr.
May 2012 What Happened to Pvt. Thomas M. Montie? Montie, Pvt. Thomas M.